It’s a known item that online dating sites will eventually offer you a discounted membership, if you keep your profile active and don’t subscribe. Your discounted membership fee is better than no payment at all, they feel. 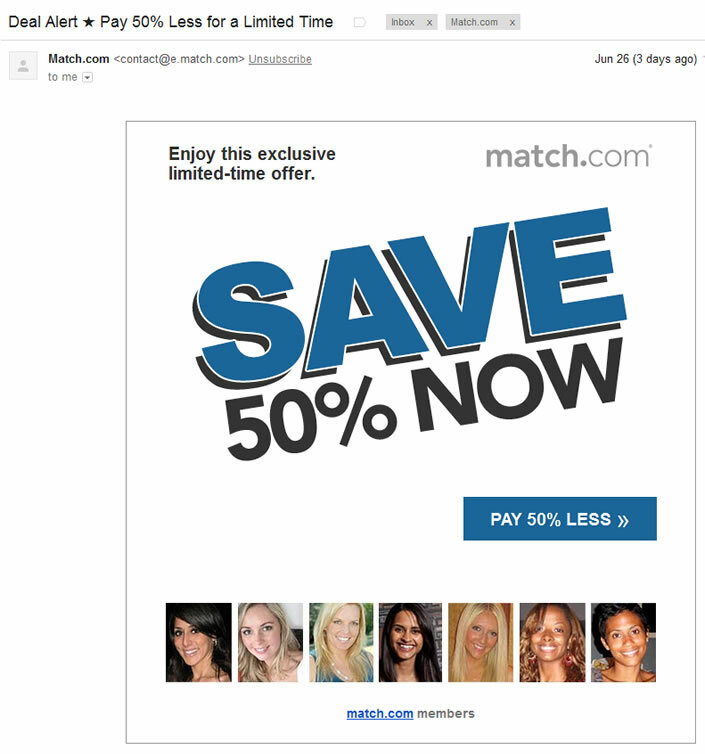 For eHarmony, the discount can get to at least 83% it seems. For an account that has not paid a subscription fee, yet is still ‘active’ on the site, it appears at least a 50% discount on memberships can be gleaned. Of course, you have to let your profile rot for a while (without communicating with anyone!) to get such a deal. This entry was posted in Email Marketing, Industry, Match.com.